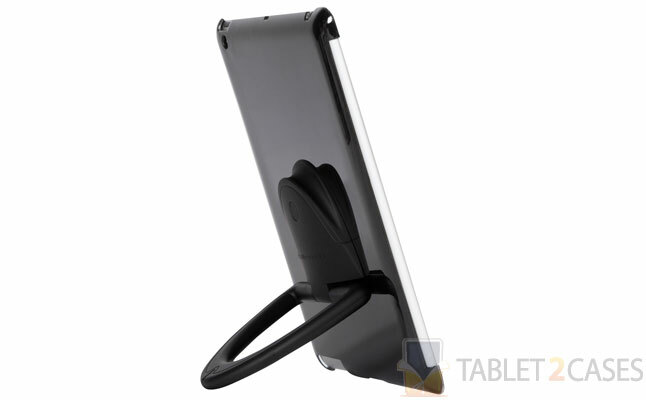 Targus SpinPad is highly functional tablet hard case featuring an adjustable stand and a comfy handle. The case is designed with a molded exterior protecting the tablet’s back from impacts and scratches, and at the same time guarding the tablet’s screen from damage when bent. The SpinPad is a perfect example how functionality and flexibility can be combined without sacrificing the ergonomics and looks. The convenient handle of the new Apple iPad 2 case is made of non-slip material offering owners a perfect grip and a comfy way to carry the device. wall hanging option is also available. The handle can also turn the SpinPad into a rotating tablet stand offering users various viewing angles perfect for typing or viewing multimedia. The new case can accommodate the Apple iPad 2 with the Smart Cover attached to it. All ports and buttons are open to free access with the case on the device.